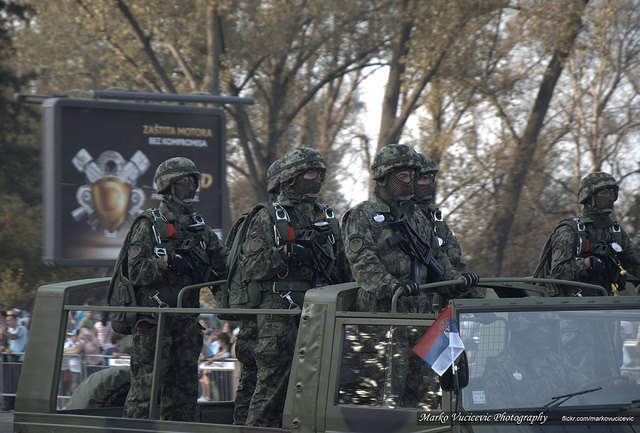 Serbia's ongoing flirtation with Moscow has upset its neighbours. Putin welcoming parade, April 2015. The opening of the key chapter, on judiciary and fundamental rights in the accession talks with Serbia, is currently uncertain, as Croatia is asking that Belgrade meet several conditions first. Member states on 8 April reached consensus to open Chapter 24 – justice, freedom and security in Serbia’s case in June, but no agreement was reached on Chapter 23, as Croatia was the only country to express objections. The Commission had previously assessed Serbia’s preparatory work positively. The papers on which Belgrade had been working for several months were expected to allow opening the chapter. EXCLUSIVE / Serbia believes that the EU sanctions against Russia unfairly impact candidate countries, and have an adverse effect on its own accession process, says a document obtained by EURACTIV.com. Croatian officials, however, said several times over the last few weeks that additional conditions should include the annulment of jurisdiction for the processing of war crimes in the territory of the entire former Yugoslavia, guarantees that the Croatian minority will be automatically represented in the Serbian Parliament, and cooperation with the Hague tribunal. Serbia believes that Croatia’s demands are bilateral issues that should not be resolved in the context of relations with the EU. When Croatia was completing its EU negotiations, the 27 EU members had insisted that it would not use its power to create artificial obstacles for other countries to join the EU. 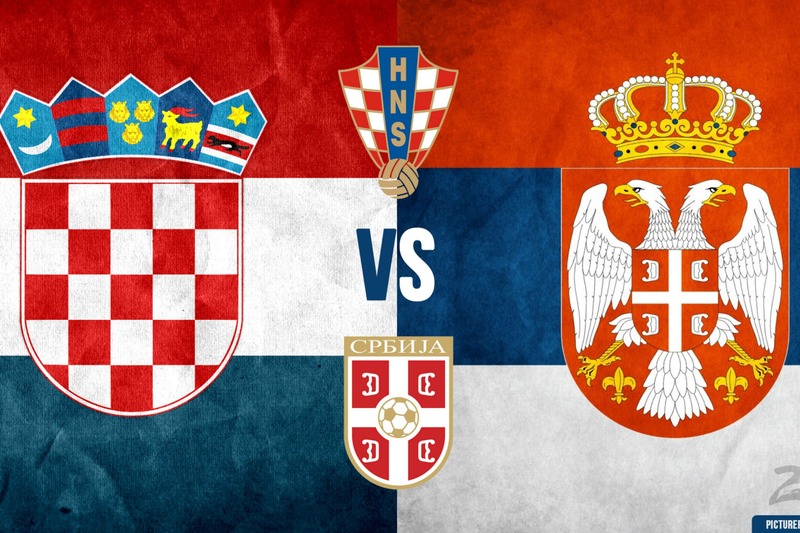 Serbia and Croatia fought a civil war from 1991 to 1995, when the latter secured independence from the former Yugoslavia. Serbian Prime Minister Aleksandar Vučić said on 8 April that the Serbian government was “stunned” by Croatia’s decision to block Serbia’s European path. “Croatia did not have a single good reason for that decision. Serbia […]will not allow anyone in Europe and the world, including Croatia, to blackmail, humiliate and demean it in any way,” Vučić said in a statement. The Serbian premier explained on 13 April that there was no dispute between Serbia and Croatia, but that his country only demanded respect. Croatia has used its resource in the European Parliament to impose on candidate country Serbia, in order to change its law on war crime trials. EURACTIV Serbia reports. Croatia insists that this is not a blocking of the negotiations and that it wants Serbia to join the EU, but that the candidate country should meet the membership criteria first. “I would not call that blocking. It is simply a matter of meeting criteria. Ultimately, that is good for Serbia itself,” Croatian President Kolinda Grabar-Kitarović told the 9 April issue of Zagreb’s Večernji List newspaper. At the peak of the campaign for the 24 April general election in Serbia, Croatia’s position on Chapter 23 provides fuel for the extreme right parties who are against association with the EU, such as the Serbian Radical Party, led by former Hague tribunal indictee Vojislav Šešelj. Thus, the Democratic Party of Serbia and the Dveri movement stated that Croatia’s decision clearly showed that Serbia had agreed to be a hostage to the interests of the US, and of “minor EU countries such as Croatia”. Croatia is a member of NATO, while Serbia, which was bombed by NATO in 1999, has no intention of joining the alliance. Zagreb is criticizing Serbia, saying that on the grounds of a universal jurisdiction law it wants to be a “mini Hague,” i.e. to be authorized to process war crimes committed during the wars in the former Yugoslavia, regardless of the perpetrators’ nationality. The law on universal jurisdiction is not a precedent. As European diplomats told Beta, 11 EU countries have similar laws on the international competence of war crimes courts, mentioning the example of Spanish Judge Baltasar Garzon and his engagement in the world. Croatian diplomats told EURACTIV that the main stumbling block was a legal text adopted in 2003, according to which Serbia reserves itself to prosecute for war crimes persons on the territory of the former Yugoslavia, which is much bigger than Serbia and includes Croatia. In fact it’s only a matter of repealing Article 3 of the “Law on the Organisation and competence of State Authorities in war crimes proceedings”, EURACTIV was told. 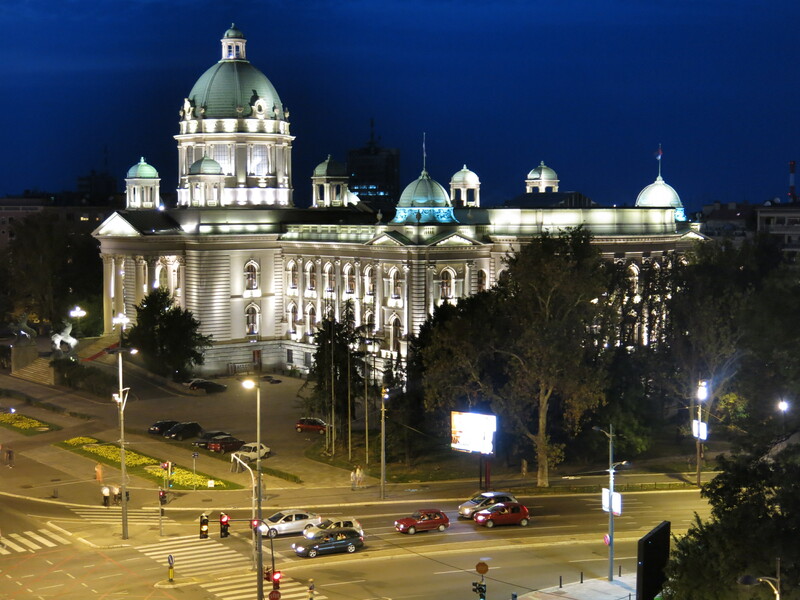 However, the issue was politically sensitive in Belgrade, especially ahead of the elections. Zagreb is also demanding guarantees that the Croatian minority would have seats in the Serbian Parliament. The representation of minorities in parliament is, however, not legally guaranteed and depends on the ability to reach the 5% election threshold, which may, depending on turnout, equate to between 15,000 and 30,000 voters. In Serbia, according to the 2011 census, out of roughly seven million citizens nearly 58,000 are members of the Croatian minority. As EU sources conveyed to Beta on 8 April, the position of practically all Union members, except Croatia, was that these issues are not directly linked to the terms for opening the chapters and the adoption of the EU negotiating position, and that many questions could be resolved over the course of the membership talks themselves. Sources said that bilateral contacts were expected between Croatia and among the other EU members. The Croatian authorities will be told that the opening of new chapters could only contribute to the quicker resolution of all seemingly controversial issues, the EU sources added. Is the EU losing Serbia? Serbia has been at the heart of the ongoing refugee crisis. It is time for the EU to reward its actions by opening the first negotiation chapter, writes Stevan Randjelovic. The minister without portfolio in charge of European integration, Jadranka Joksimović, said on 10 April that Serbia had fulfilled all requirements for the opening of Chapter 23 and that it now expected the EU institutions to react. Joksimović also said that the scoring of domestic political points might be a reason for Croatia’s negative attitude. The blocking of the opening of negotiating chapters is nothing new in the region. Slovenia did so in Croatia’s case over a border issue, which is still not entirely solved. Serbian-Croatian relations have, however, been strained since the tensions over the refugee crisis at the end of last summer, when a trade war almost broke out over the matter of allowing passage to refugees from the Middle East. Tomislav Zigmanov, the leader of the Democratic Alliance of Vojvodina Croats, said on 5 April that for more than six months, cooperation between Serbia and Croatia had been practically non-existent, while the representatives of the two states communicated through the media. 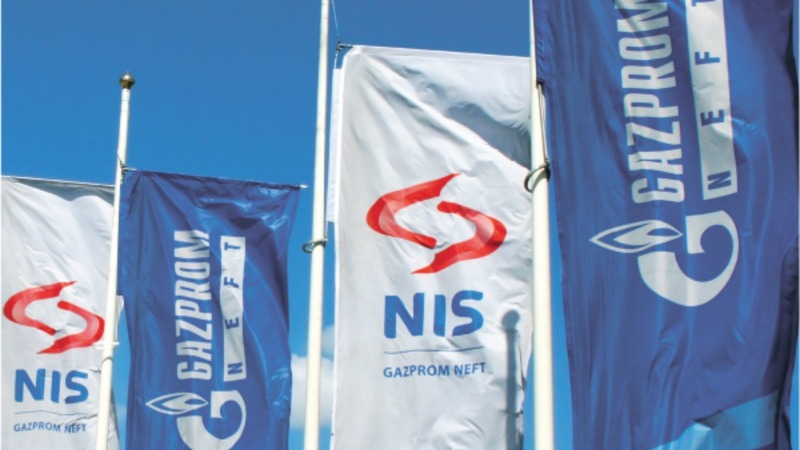 Zigmanov told reporters that he wanted to believe the situation was such partly because Serbia was in the midst of an election campaign, but added that the relations might also be strained by the Hague tribunal’s acquittal of Vojislav Šešelj. “Serbian-Croatian relations are far more complex and it will probably take 70 years to establish the kind of cooperation Serbia and Hungary have,” said Zigmanov. Chapters 23 and 24 are because of their importance opened at the beginning and closed at the end of the membership negotiations and may affect the course of the process. This is part of the EU’s new approach to enlargement that has been applied in Montenegro’s case, and which is to enable a future member to curb corruption, deal with organized crime and enable the implementation of laws in a timely manner. Serbia’s EU membership talks started in January 2014 and the first chapters – 35 on relations with Kosovo and 32 on financial control – were opened in December 2015. Good neighbourly relations and the resolving of open issues are the membership prerequisites the EU especially insists on in the case of Western Balkan countries, i.e. the former Yugoslavia and Albania, because it does not want to one day, along with their membership, “import” bilateral disputes and potential conflicts. All countries in the region are in favor of developing good neighbourly relations, as proven by the increasingly frequent bilateral and multilateral meetings and regional initiatives. However, tensions are inevitable, given the consequences and legacy of the wars of the 1990s, which are questions that are often politicized and pushed to the forefront due to the situation in a particular country.